Which big bank stock came out on top last year? The chances are good that most investors, even those who follow the bank industry, won't be able to guess the best-performing big bank stock in 2016. It wasn't one of the multitrillion dollar banks that are discussed so often by analysts and commentators. It was instead Comerica (NYSE:CMA), which saw its shares rise by 62%. The $74 billion bank based in Dallas, Texas, an epicenter of the energy industry, got off to a rough start in 2016. Oil prices fell from more than $100 a barrel in 2014 to below $30 a barrel at this time last year, making it difficult for companies in the industry to service their loans. This was particularly bad for lenders with a large concentration of oil and gas loans, Comerica being one of them. Of the $2.7 billion in energy loans Comerica had on its books midway through the year, an estimated $1.6 billion of them were criticized, noted Jon Prior of the Dallas Business Journal. This suggests that executives at the bank were worried the associated borrowers may not pay Comerica back. To make matters worse, as bank analyst Mike Mayo pointed out earlier in the year, Comerica is one of the least efficient big banks in the country, measured by the efficiency ratio. This has translated into subpar returns that have consistently come in below the bank's goal of generating a 10% return on equity, which is also the bank's cost of capital. This means, in effect, that Comerica is eroding shareholder value as opposed to growing it. All of this came to a head at Comerica's annual meeting in April, with shareholders demanding to know when the bank would improve its performance. Mayo was one of the biggest antagonists. "What we're calling for at Comerica is greater accountability," Mayo said a few months later. "If Comerica doesn't sell, they should get a new CEO." Fortunately for Comerica, a rebound in energy prices triggered a similar change in direction for its stock. 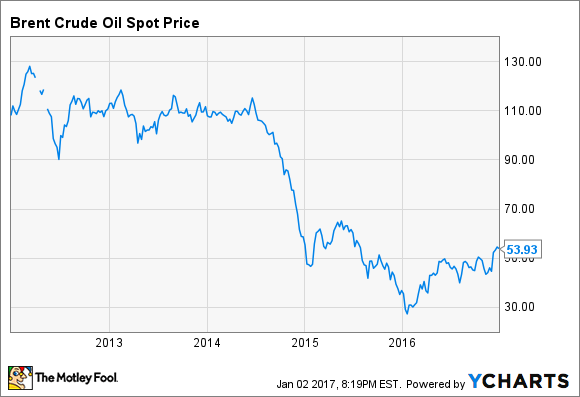 After bottoming out around $25 a barrel in January, the price of oil has climbed to more than $50 a barrel today, making it easier for borrowers in the industry to service their debts. Additionally, like all other bank stocks, Comerica's shares soared in the wake of the presidential election. Investors are particularly bullish on the impact of the incoming administration on bank stocks, given that the President-elect promised on the campaign trail to stimulate faster growth and reduce regulations in the bank industry. The net result is that Comerica's stock, while starting out the year at the bottom of the pack, has emerged at the top. Including dividends, its shares have returned 65% this year, outpacing the runner-up on the KBW Bank Index, Zions Bancorp, by seven percentage points. Comerica still has a long row to hoe when it comes to improving its operations, but the performance of its stock over the past year should give its executives some breathing room in which to do so.